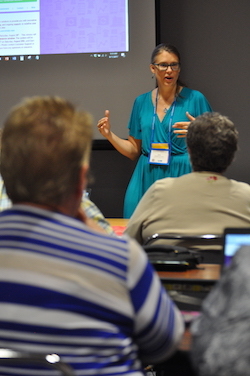 ABE Foundations Workshop is offered yearly as a 7 hour pre-conference session at the ABE Summer Institute Conference which is held every August in St. Cloud. The next pre-conference workshop will be August 14-15, 2018. Registration will begin in May 2018, watch the Summer Institute page for registration details as they become available. Are you new to Adult Basic Education (ABE)? Do you want to explore questions and ideas with colleagues from around the state? Wondering where you fit in the big picture of ABE? This pre-conference workshop will provide an overview of Adult Basic Education in Minnesota for administrators and instructors who are new to the field or would like a review of the basics. We'll cover a variety of topics, including: ABE students and their goals; the ABE delivery system; funding; ABE content standards; adult secondary credentials; policy and accountability expectations; and professional development. You will have the opportunity to ask your questions, meet ABE professionals from around the state, participate in roundtable discussions, and learn about additional professional development options. All staff new to ABE are encouraged to attend this session!